Personal distribution lists are the lists of email addresses you create and store on your computer. They are not transferred during the upgrade to Exchange 2013. Public distribution lists created for your organization ARE transferred. Find your personal distribution list and open it. 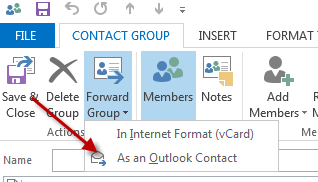 Click Forward Group and select As an Outlook contact. Open the email you sent to yourself. Click the ... at the bottom of the screen. Int the sent email click the group files you sent yourself and drag it to your Contacts folder. The group is now back in your contact list. Open the email you sent yourself. Click on the Public Folders icon in the bottom left hand of the screen. 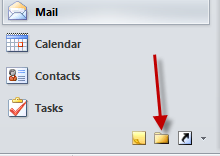 In the sent email click the group file you sent yourself and drag it to your Contacts folder. The group is now back to your contacts list.